Laura (Perry) Eaton, 88, of Fall River, widow of Edgar Eaton, passed into eternal life on Tuesday, February 5th, 2019, at Charlton Memorial Hospital. Born in Fall River, she was the daughter of the late Augustino Perry and Maria Almeida. She was employed in the garment industry as a sewing machine operator and enjoyed bingo, crocheting and playing games on her tablet. She leaves behind three children, George Eaton and his wife Paula of Fall River, Elizabeth Butterworth and her husband Bill of North Attleboro, Rosemary Amaral and her husband Bobby of Fall River; seven grandchildren, John DiManno, Lisa Daniels, Lourie Amaral, Paul Amaral, Jesse Eaton, Joshua Eaton and April Cabral; nine great-grandchildren Tiffany DiManno, Lyndsay Borden, Aiden Cabral, Lauren Costa, Cyrano Daniels, Mariah Daniels, Leah Eaton, Jesse Eaton and Brenden Eaton; two great, great-grandchildren, Castile Borden and Aliyyah Moniz; three brothers, Augustine Perreira, Frank Ladeira, and Jim Perreira; several nieces and nephews and a close friend, Gail Cambio. 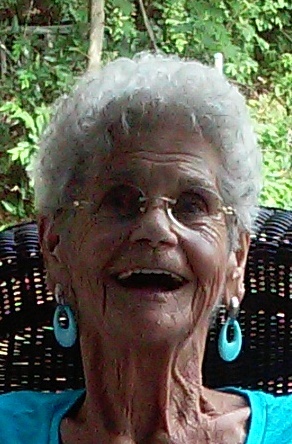 She was the grandmother of the late George Eaton, Jr. Private arrangements entrusted to AuclairFuneralHome.